The LEDs on the board DO NOT automatically turn on. LEDs are NOT an indicator of your MetaSensor status. 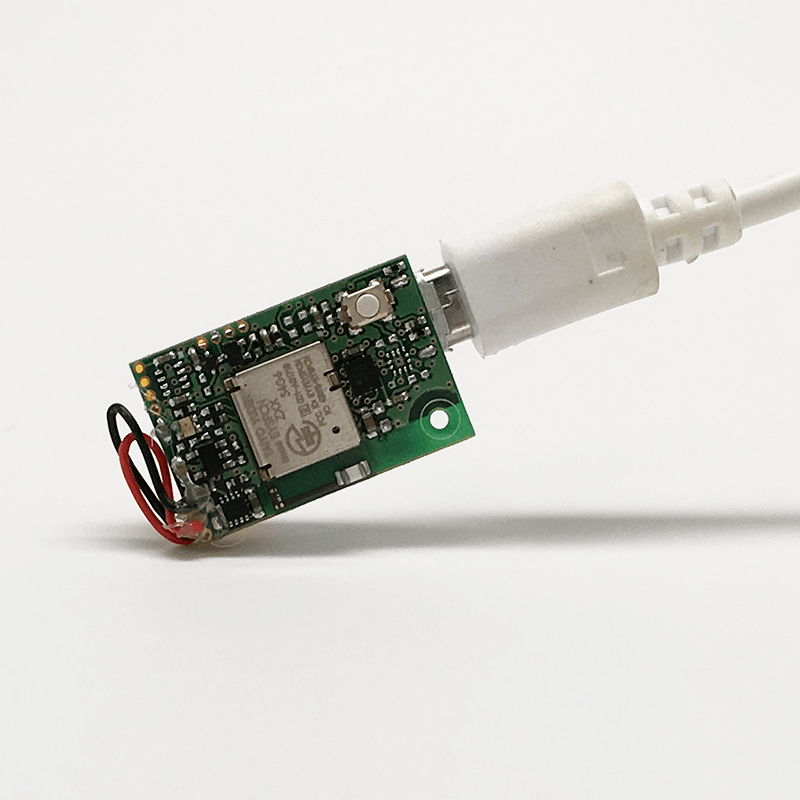 Your Smartphone must Bluetooth 4.0 compliant. Debug with the latest iOS phone or Android device (iPhone 7 or later). Delete the MetaBase App on your Smartphone and download the latest version. Debug one MetaSensor at a time (put all other Bluetooth devices out of reach). All MetaSensors are shipped in sleep mode to conserve battery. Did you press the button to wake it up? Wait 30 seconds and your device will be visible by your Smartphone. 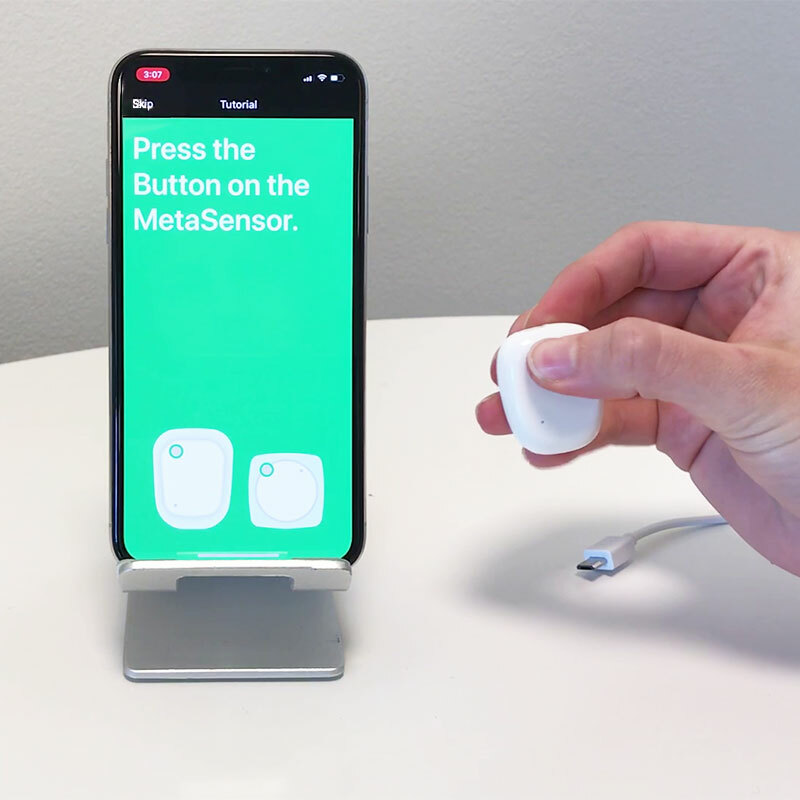 Do not use your phone menu to connect to the sensor, use the MetaBase App ONLY. 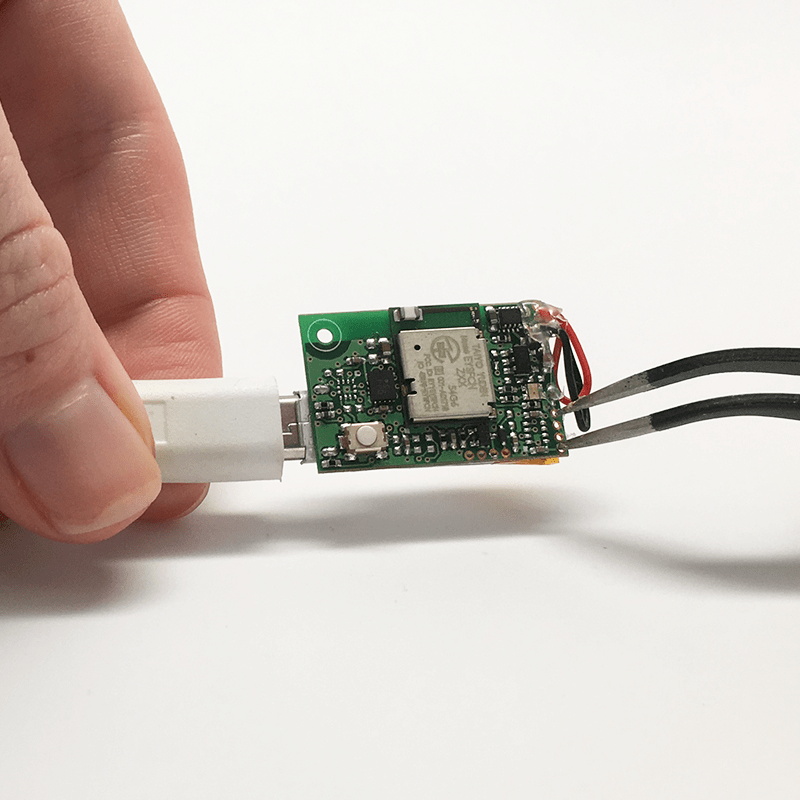 Charge compatible devices using a micro-USB cable and AC adapter. Charge your device for a MINIMUM of 40 minutes. The USB port is for power only, it does not transfer data! Use a fresh new battery! You can buy additional coin cell batteries on Amazon or on our store. Insert the CR2032 or CR2450 battery (+) side up. 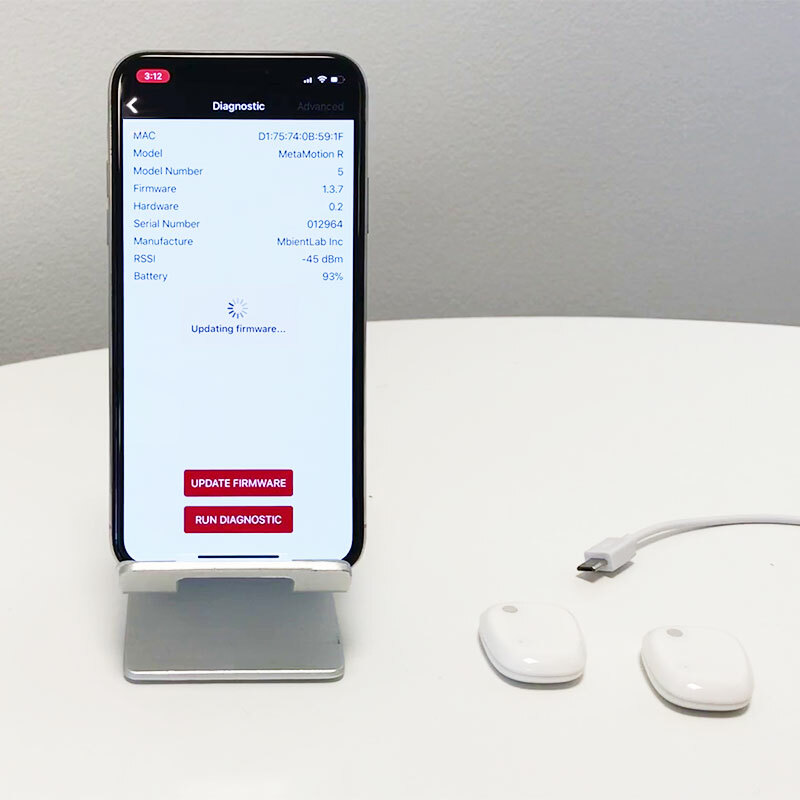 Connect to your device using the MetaBase App and update the firmware. Run a diagnostic scan and email us the results. If your device is in MetaBoot mode, it may automatically update (let it finish). Plug in the micro-USB cable or insert in a new Coin-cell battery at the same time that you press down the button on the device. 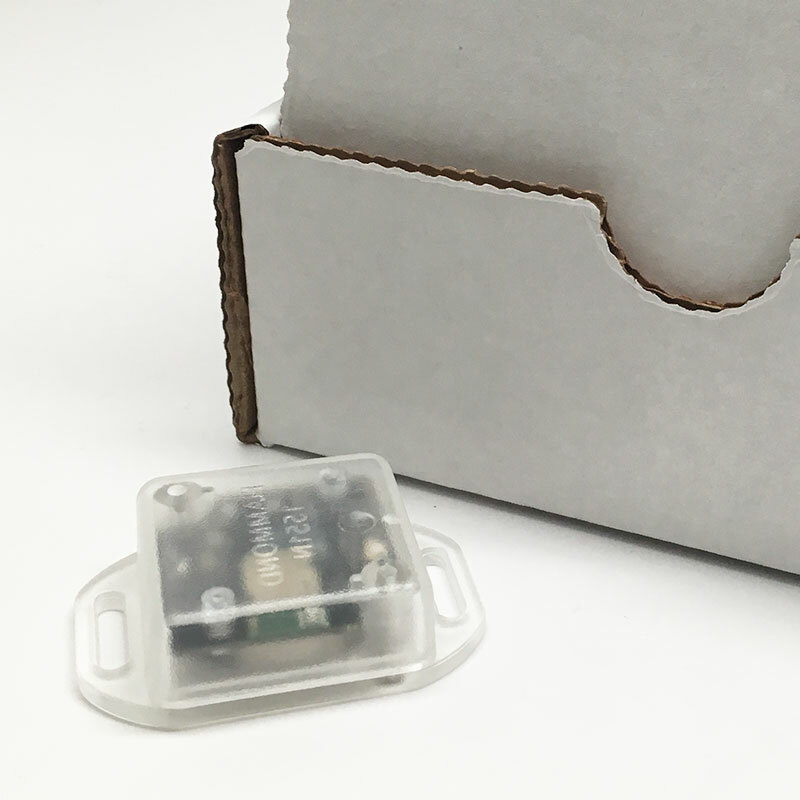 Release the button only once the cable or batter has been fully inserted (device should be charging/powered). This will cause the device to reset for 60 seconds. 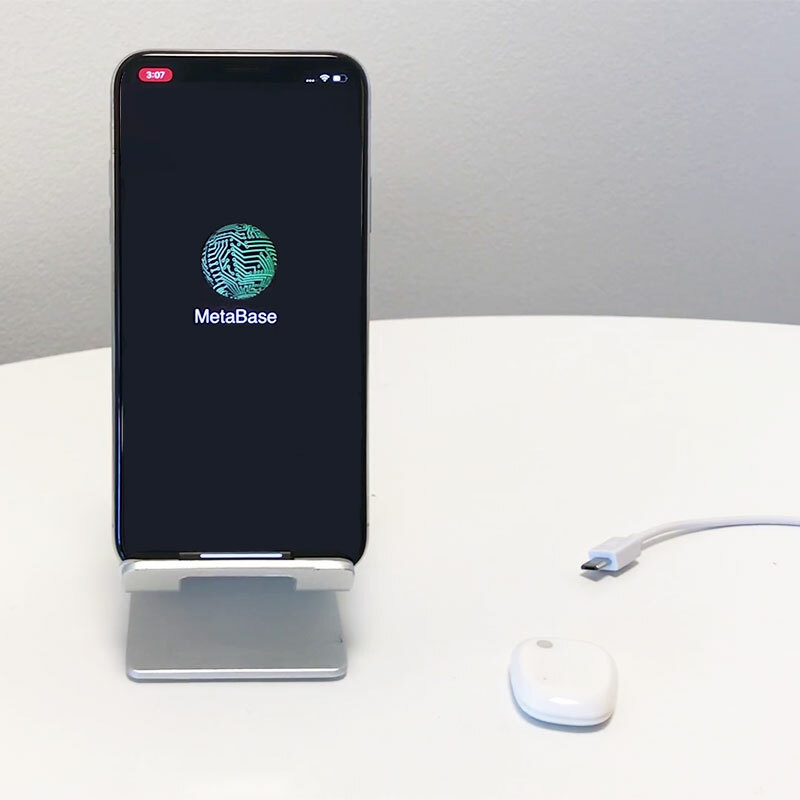 After waiting, connect to your device using the MetaBase App. 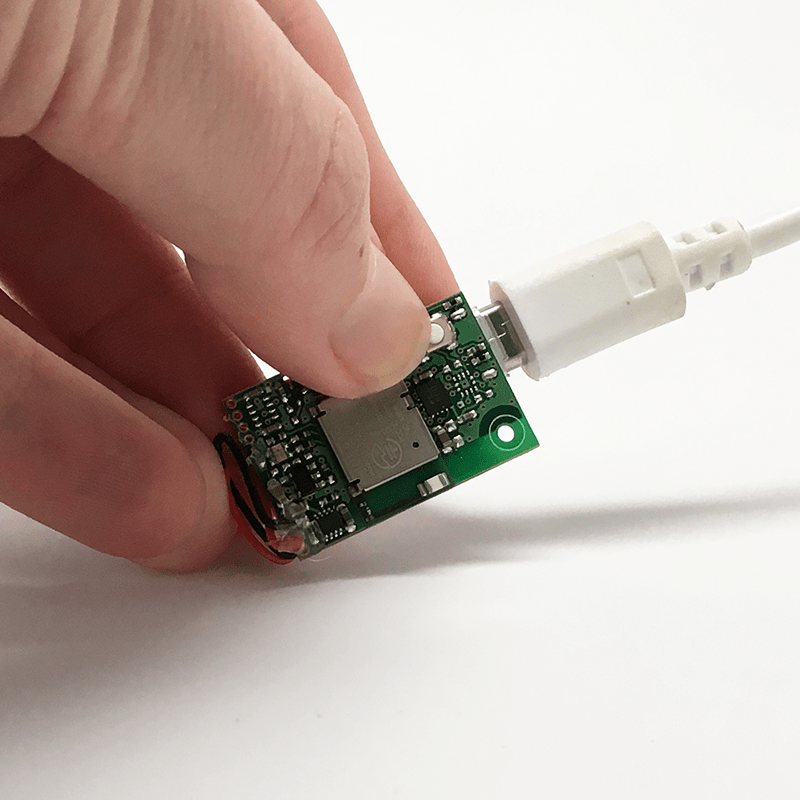 Use conductive material such as a wire or tweezers and short any PWR and GND pins on the board while the device is powered. 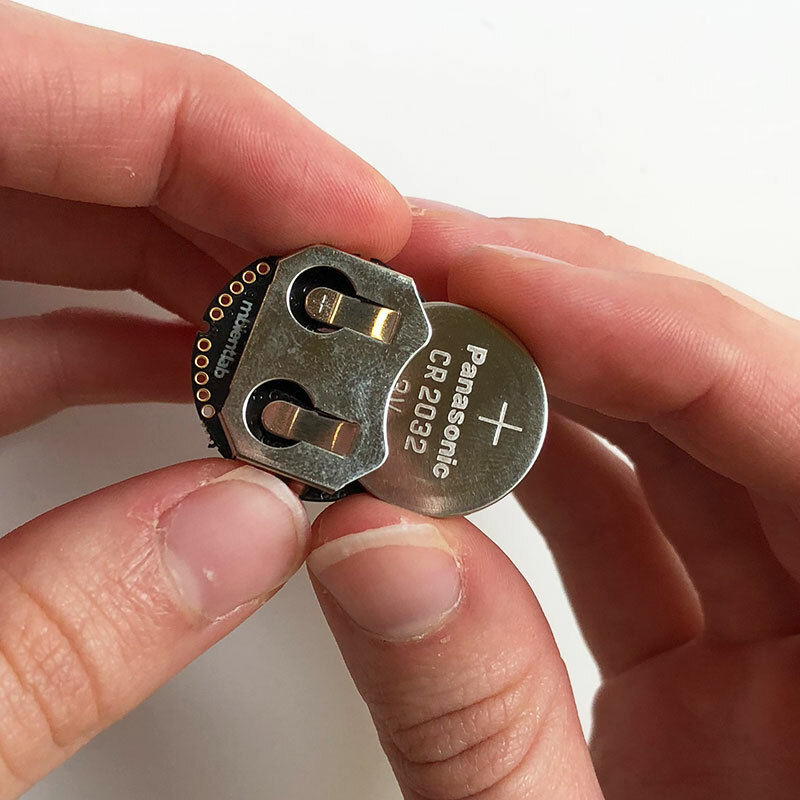 Please refer to the datasheet to find the best PWR and GRD pins on the device to short. Success will be indicated by a dimly flashing LED during the shorting process. Please note this process may void the warranty. This step is for professionals ONLY! MetaSensors have a 30 day limited warranty (free DOA replacement or repair). If you want to submit an RMA request, please fill out this form. We may require you to submit a Diagnostic report, Photos, and Videos. DEVICES OUT OF WARRANTY OR RETURNED WITHOUT AN RMA # WILL NOT BE ACCEPTED.